Sanja Jurca Avcı of Avcı Architects was involved in artists’ selection process for Slovenia and Serbia, from which Joni Zakonjšek and Saša Montiljo were selected respectively and are now presenting their art as part of “Balkan Breeze”, an ambitious international group exhibition takes place in Summart between 8-30 June 2016. The meaning of the word of Balkan; mountain, mountainous, and rugged bush means that it is a Turkish word of origin. Today the Balkans, Croatia, Serbia, Montenegro, Kosovo, Slovenia, Albania, Macedonia, Bosnia Herzegovina, Bulgaria, Romania, Greece, and Thrace into the field is described as region. The Balkan Peninsula is a special area where Europe and the East are combined in every sense. Since the area is rugged and mountainous, culture, language and traditions, has provided an enormous cultural wealth to be different. However the warmth and intimacy of the Balkan people is the most important common wealth. The Balkans has been the center of enthusiasm, cultural richness and diversity. However, these differences will meet at a common point: Art. 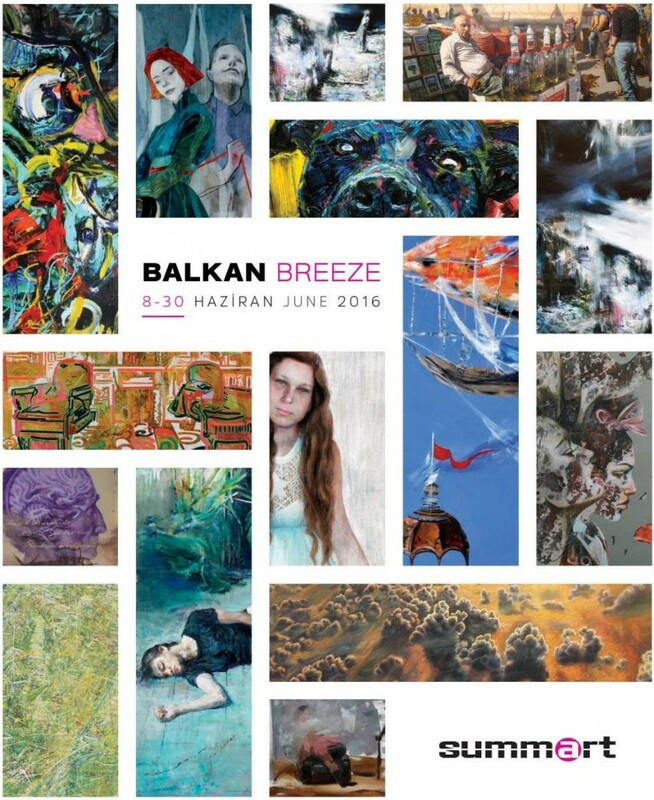 Balkan Breeze exhibition, this cultural richness is one of the most beautiful examples of that can be seen in an artistic mosaic.